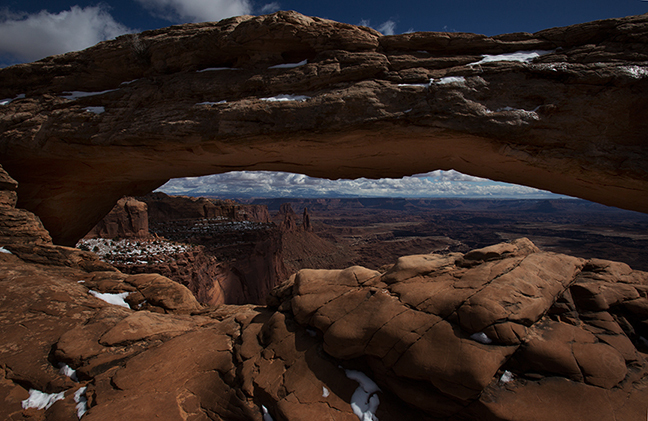 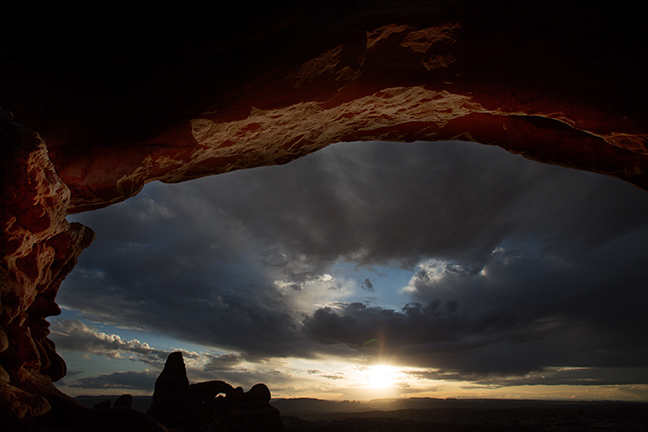 Mesa Arch is in the Island in the Sky District of Canyonlands National Park. 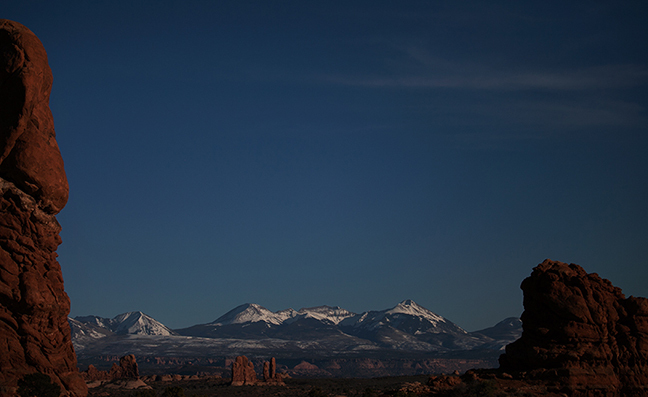 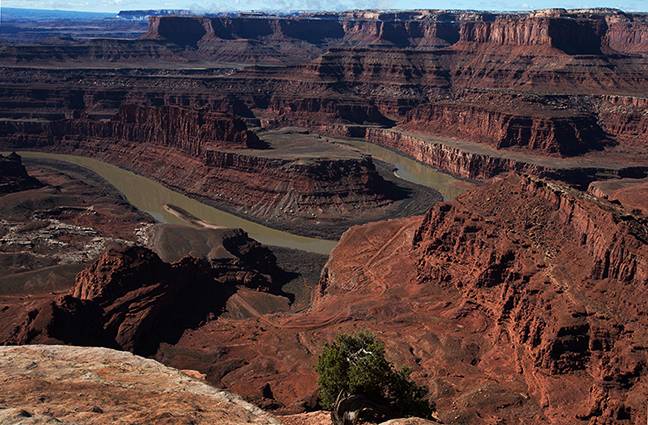 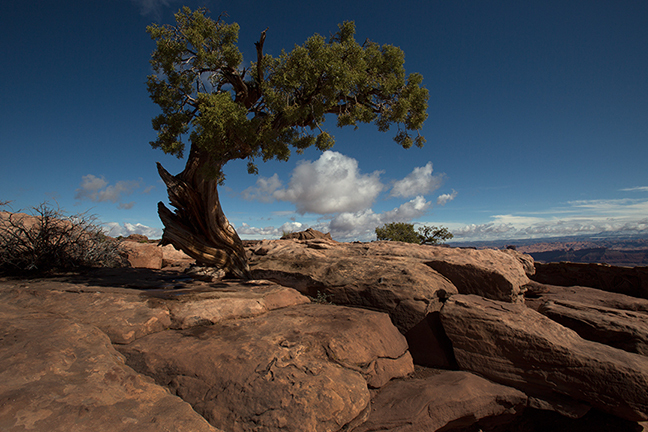 The Island in the Sky sits atop a massive 1500-foot mesa, above where the Colorado and Green Rivers wind through the heart of Canyonlands, cutting through layered sandstone to form two deep canyons. 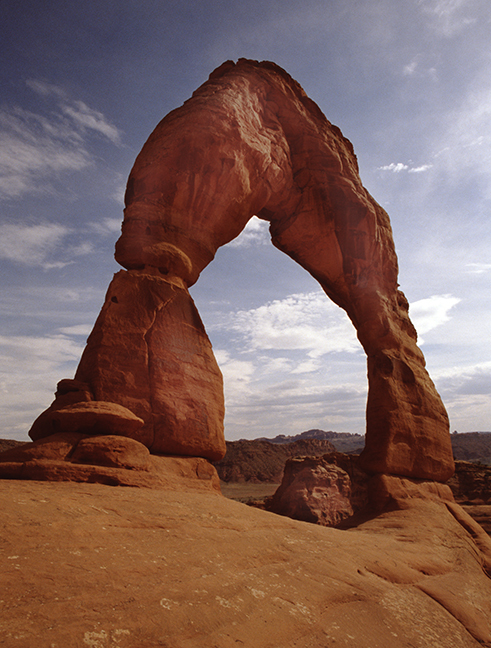 Established in 1964, the Park’s original boundaries reflect the result of political compromise. 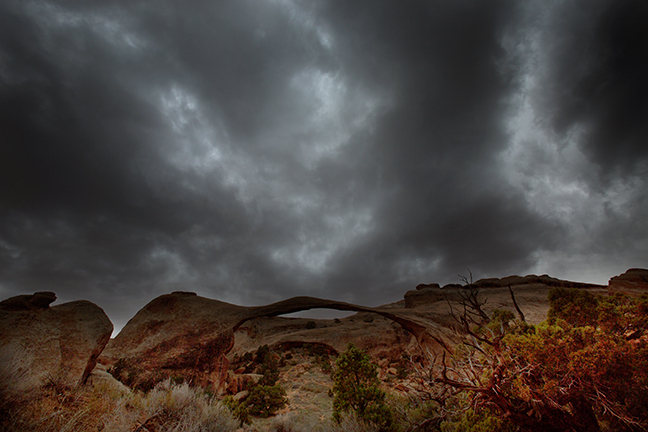 A proposal involving the redesignation of federal lands already held by the National Park Service, the Bureau of Land Management, and the Forest Service; and the acquisition of the Dugout Ranch, owned by The Nature Conservancy, and Utah state trust lands has been proposed. 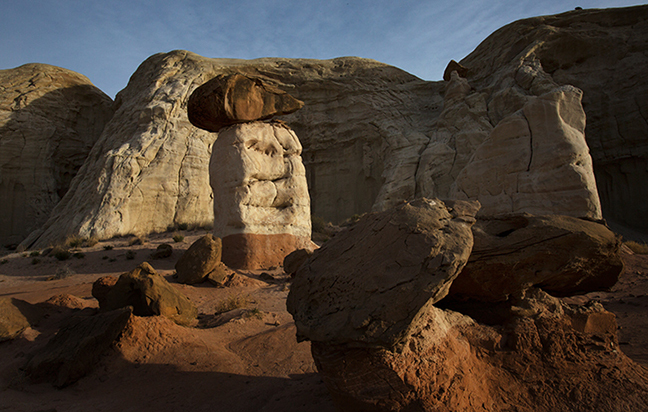 The Wahweap Hoodoos are accessible via a 9.2 mile round-trip hike from Big Water, UT through the Wahweap Wash. Wahweap means “bitter water” in Paiute and refers to the alkaline seeps found along the canyon. 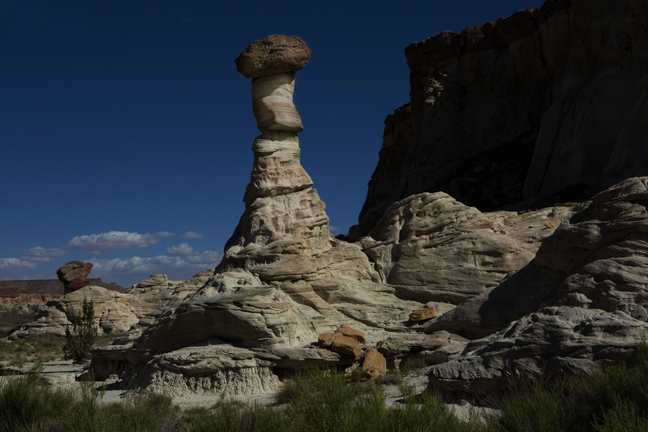 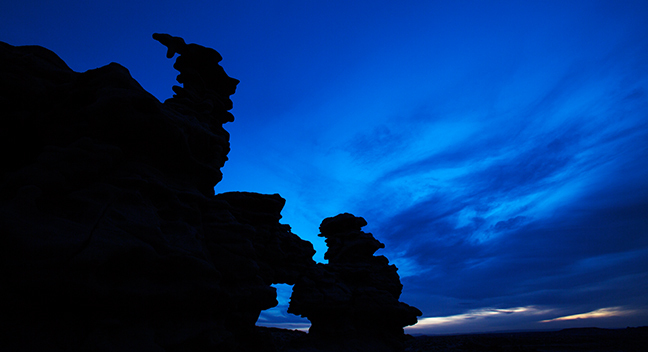 Hoodoos are eccentric columns of rock formed by differential weathering. 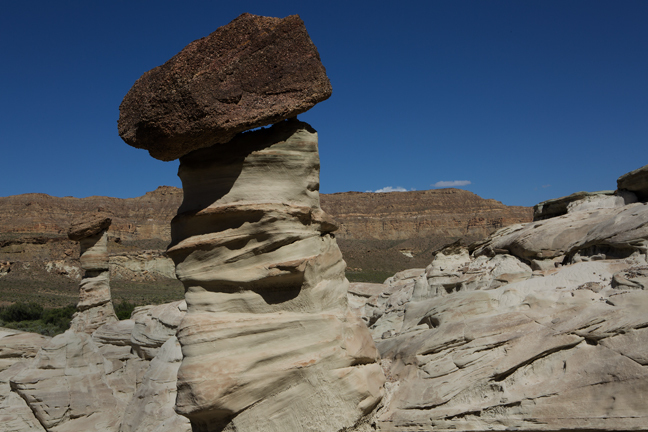 The cap of these hoodoos is 100 million year old Dakota Sandstone and the columns are Entrada Sandstone that is 160 million years old. 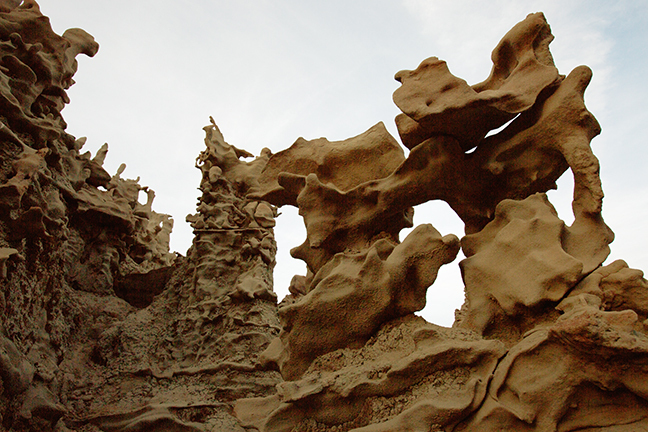 The Paiutes believed that hoodoos are the remnants of people who were turned to stone. 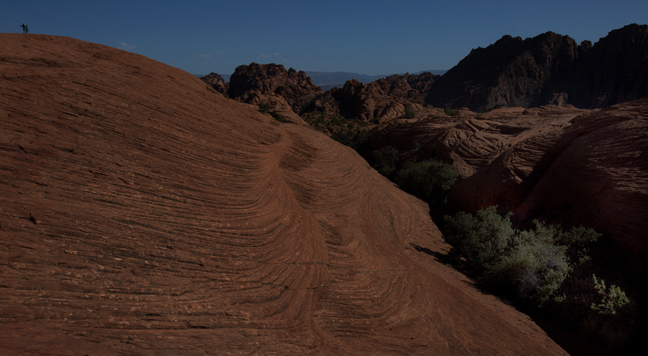 A couple practices yoga atop the Petrified Dunes in Snow Canyon State Park outside Ivins, Utah. 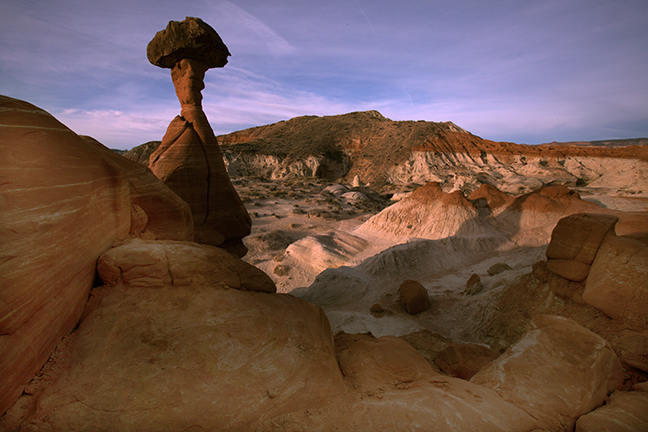 Composed from the sediment of an ancient sea, the Navajo sandstone dunes rise more than 300 feet above the surrounding canyon floor.